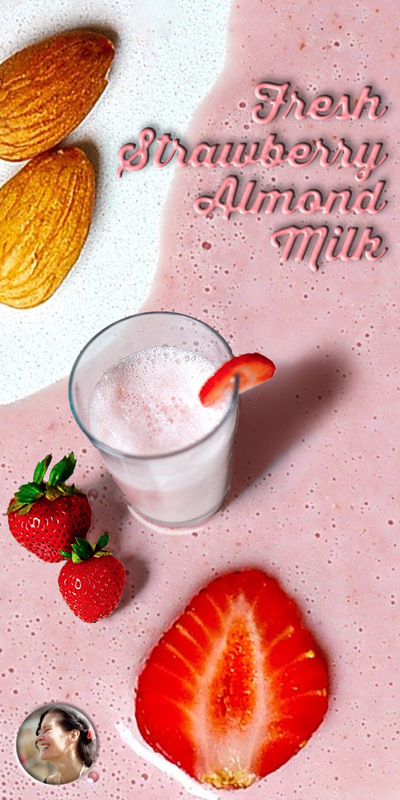 If you imagine fresh strawberry almond milk to be fragrant, frothy and intoxicating. You’d be spot on. Unicorn laughter is the closest I can come up with to describe what a sip of this pink elixir tastes like. We used to go strawberry picking when the kids were little, and raspberry and apple and blueberry. It was one of the long list of summer have-tos. Their list was so long I didn’t make a list of my own. If I had made a list it would have been short. 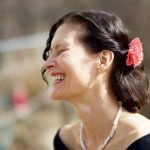 This summer I roamed the Farmer’s Market on Saturday mornings, watching the sweaty toddlers dance to the the drum’s beat while I shopped for my rosemary plants and swiss chard. This summer we walked to the ice-cream parlor after dark and bought swirled chocolate and vanilla soft serve. Ice cream tastes different in the dark. This summer I planted an herb garden by the kitchen door. This summer we discovered a secret path at sunset populated with tiny bunnies. 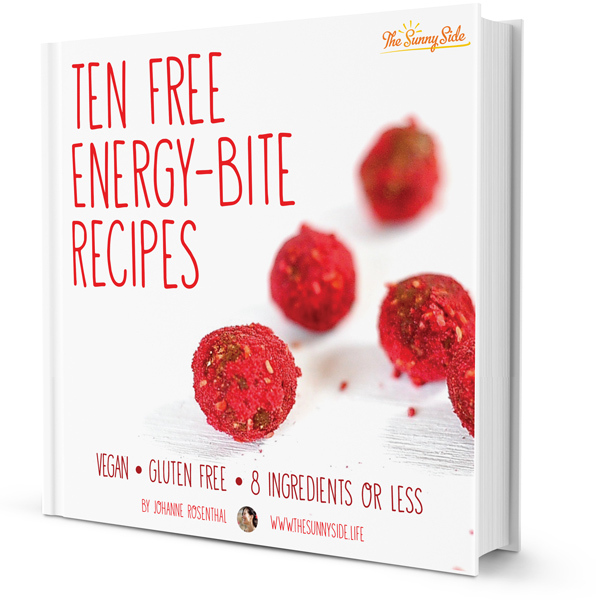 A healthy and delicious treat for any time of the day. 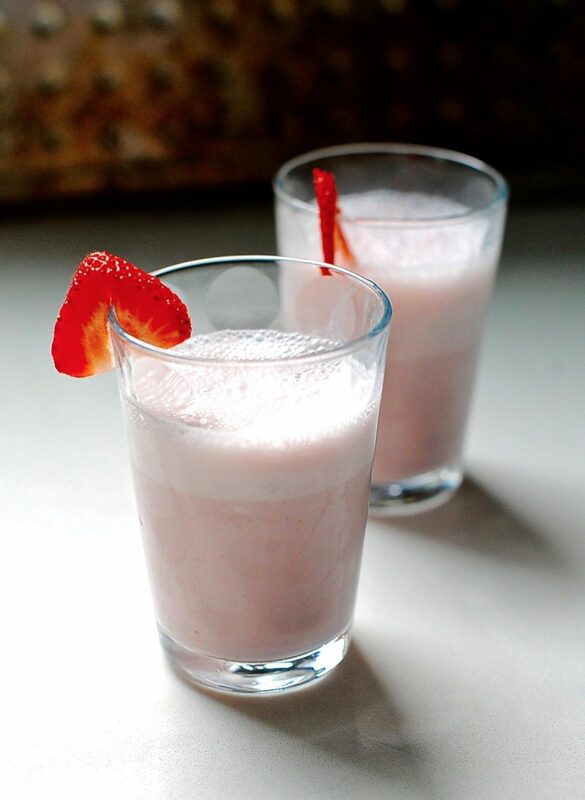 Strawberry Almond milk makes for a rich creamy drink with a delightful strawberry flavor. Soak your almonds (I use skin on) for 8-12 hours in water. 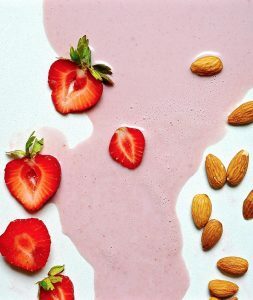 Once the almonds are fully soaked discard your soaking liquid and pour the almonds and 3 cups of fresh water into your blender. 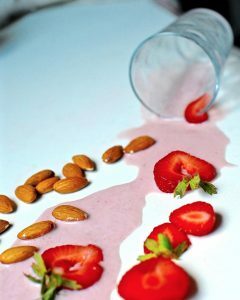 Blend until the nuts are fully pulverized about two minutes. Now you have a choice: to strain or not to strain. 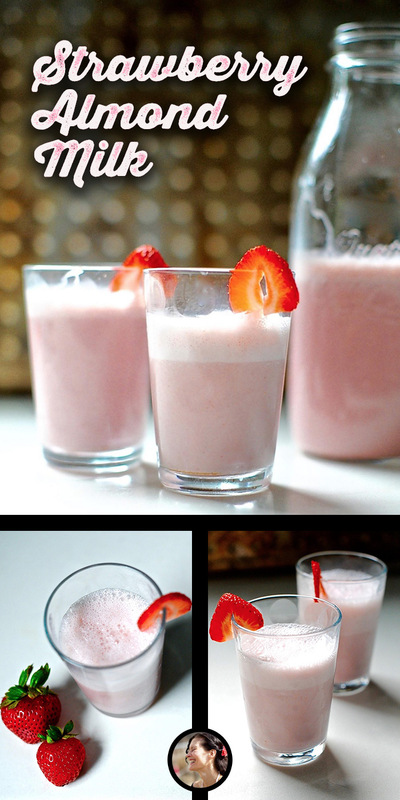 If I am making this for myself I don't strain because I don't mind a little grit. If I am making it for others I usually strain it and used the by product almond meal for cheese making. Personally I can't stand using cheese cloth and so strain it through a clean unbleached white cotton t-shirt. I have a nut milk bag somewhere but can never find it when I need it. Lol. Strain your milk, pressing hard on the solids. Now return the almond milk to the blender container. 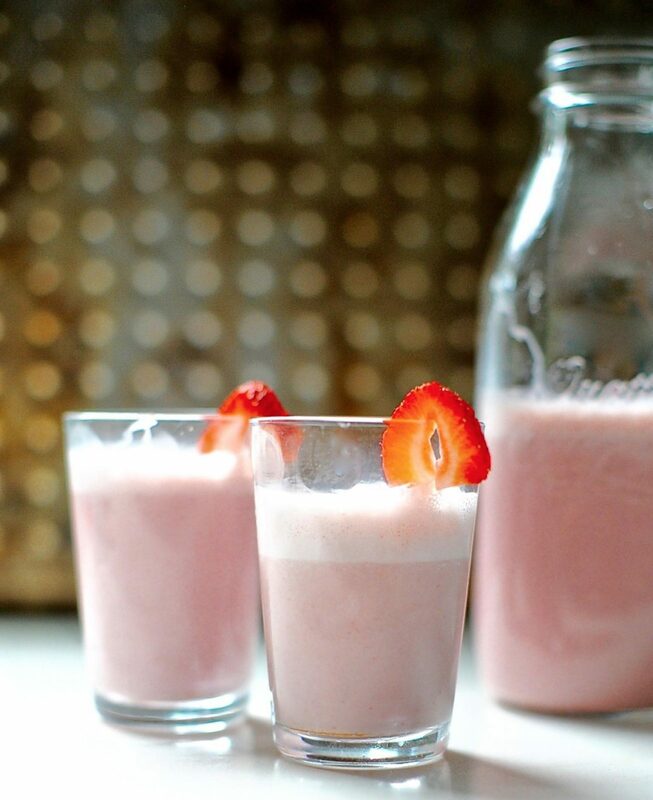 Blend it up with the vanilla and the strawberries. If it is not sweet enough for you feel free to blend in a Medjool a date or two. Keep refrigerated if not using right away. This sounds amazing! Love the Medjool Date tip. 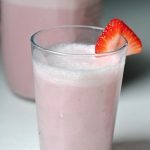 I need a blender so I can make this all the time!